The Ishida iPC Portable Bench Scale is a compact and versatile scale, perfect for a vast array of applications from food service to mailrooms. Portability features include battery power up to 500 hours with low battery notification and auto power-off function to preserve battery life. The Ishida iPC Portable Bench Scale is a compact and versatile general-purpose scale, perfect for a vast array of applications in food service industries. Key portability features include battery power up to 500 hours with low battery notification and auto power-off function to preserve battery life. Plastic enclosure and optional stainless steel platter endure tough environments and are easy to clean. 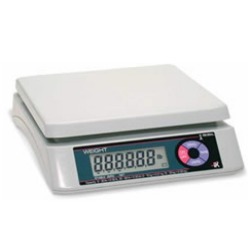 The simple, completely portable, low maintenance Ishida iPC Portable Bench Scale is necessary wherever quick, accurate measurements are required. 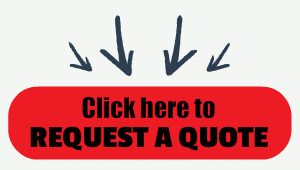 Are you looking for an affordable way to keep ingredient costs under control? Give the iPC from Central Carolina Scale a try today. Offering a sleek design, simple operation, and pinpoint accuracy, the iPC delivers convenient 4-button operation and optional dual displays. These features simplify processes for users and offer highly visible weight read-outs for customers. Perfect wherever quick, accurate weighments are needed, the iPC excels in applications such as bakeries, restaurants and mailrooms. (up to 500 hours operation) or optional AC adapter, providing the versatility for use at remote locations such as farmers markets and roadside stands.